Alejandro Gonzalez is responsible for production engineering and engineering service manager including piping solutions and analysis. Starting with Senior Flexonics Pathway in 2004, previous roles include Quotation Engineer, Senior Project Engineer, Engineering Field Service, Failure Analysis, Piping Stress Analysis, and Engineering Service Manager. Prior to joining SFP, Alejandro worked as pipe stress engineer and field service engineer. 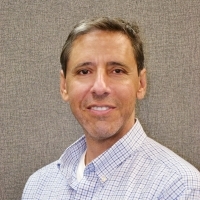 Alejandro received a BS in Mechanical Engineering from University of Texas at Austin in 1993. Fill out the form below to send your question directly to Alejandro Gonzalez, or go back to select a different expert.